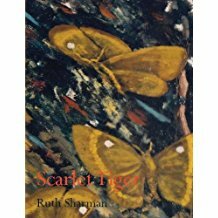 Although there has been a twenty year pause between the publication of Ruth Sharman’s first collection, Birth of the Owl Butterflies (Picador, 1997) and Scarlet Tiger (Templar, 2016), what is striking is that in this second book there is the feeling that Sharman is continuing a conversation she started all those years ago. The three-part structure of Scarlet Tiger also mirrors the structure of her first book. In Part I we meet again her father and his moths and butterflies, and are made aware of his and their mortality. Foregrounded also is Sharman’s struggle with the distiction between knowing and being known. In Part II the voice, although resolutely the same, shifts a gear as the story moves on to marriage, motherhood and a different type of loss. In Part III the gaze moves to art, objects, photographs – tangible vehicles through which she, as poet, continues to explore the meanings of connection. each ruffled scale and shattered wing. and can’t see the sky for dancing. if we mean the same thing. It seems invidious to pick poems out for special mention as it is in their coherence and the strength of their argument that they emerge and meld. However, following closely to the ‘Parable of the Sower’ comes ‘Cézanne’s apples, etc’ and, as with many of the poems, the title here does just the right amount of work, giving enough and making suggestions without being insistent. In this poem Sharman returns to look once again at the painting of the apples and in so doing bookends what was before with what is now, whilst packing all that has happened in between into the collapse of years, so much so that the yearning to ‘to be there’, back in her childhood of ‘imagined butterflies, / painted sunlight, painted air’ becomes something almost physical. Scarlet Tiger is at once a collection that is tender and elegiac as well as being robust, with dark veins of struggle and loss running through it. However, in poems that lift off the page like butterflies taking flight, it lays claim to a heritage which Sharman first began exploring in Birth of the Owl Butterflies and, in a collection well worth waiting for, stakes out a future still worth striving for. thoughts when no one is looking. of glass – but knew if I did world would shatter. The neglected thyme and leafless hedge contrast to the spotless cupboards and suggest the kitchen is a bolt-hole from everyday cares and responsibilities. A retreat where everything is in its place and she doesn’t expect to be interrupted. The kitchen is the mother’s domain, her escape into daydreams, a world the child is aware he can’t intrude on no matter how much he wants to share in it. him what he saw inside. and had the sweet tang of bourbon. to its whispers as it succumbed to the breeze. trembling legs, but not to reveal anything else. It says a lot about Marilyn Monroe’s talent that she could make an image, that would have been repeated numerous times to get just the right feel, look spontaneous. It also says something about the natural of glamour that in order to achieve an iconic image, she had to go to a happy place rather than be focused in the moment. The flickering, short-term nature of breeze through leaves could stand as a metaphor for her life. The final section, ‘The Hedge’, presents a ‘he said’, ‘she said’ scenario with two voices giving different viewpoints of a scene with readers picking out clues to figure out where the truth lies. 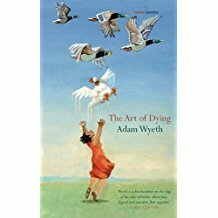 That’s primarily what the poems in The Art of Dying do, explore how truth can be coloured by viewpoint, how communication relies on context and non-verbal clues and the liveliness of people’s internal worlds in contrast with the mundane everyday routines they undertake. Modernism disabled narrative poetry by outlawing all the means of creating it. In The Cantos when the documentation comes in the poetry goes out, only really seen again in spasms of cultural nostalgia and yearning, lost-world imagery, and pastiche of ancient forms, apart from a kind of segmented and indiscriminate ‘Cantos-poetry’ that Pound wrote himself into. The ‘narrative’ of The Waste Land is buried, subliminal, lost sight of in global sacredness and mystical typologies. A lot of more recent poetry, Modernist or not, will not stand for these restrictions at all but yet finds the mechanics of real narrative poetry unreachable. (‘Real’ here means extended, retailing significant events from beginning to end, and in some way, however tentatively, in touch with the concept of the epic, which means encompassing an entire history.) It is as if the world-view which is large enough to contain poetical narrative is lost. But there remains a sense that the single short (possibly ‘lyrical’) poem is not enough. So poets write sequences in which the narrative is subliminal, verbal, or purely notional, like Jack Spicer’s ‘serial poems’, strong and beguiling constructs of pseudo-narrative in which the story is a gloss on pre-modern narratives (The Holy Grail etc.) or disappears into a putative subconscious, for lack of anywhere else to locate the sequentiality. Meanwhile the great majority of poets write poems as if they were episodes of novels: narrative is reduced to anecdote; we never view the whole story. Both forms of renunciation of narrative and of the causal understanding that should motivate it, seem to have arisen in a growing climate of political secrecy through the 20th Century, increasingly from the 1980s onwards to the present crisis, where identity politics and populism together abandon the history of common humanity in favour of exclusive versions of experience. Anyway, for whatever reason, most poets don’t have a story to tell. But Michael Crowley does. 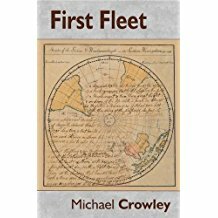 It is the story of the fleet of eleven ships that sailed to the first British penal settlement at Sydney Cove in Australia, in 1787, reconstructed from surviving journals, mainly by marine officers. It is a narrative only the bare bones of which have survived in documentation, and the task is to realise it as experienced event. Crowley’s avowed purpose is to give voice to a whole range of people involved, mainly convicts and marines and some of the higher military and administrators, and the Aboriginal people displaced and damaged by the new colony. There are 33 poems spoken by 16 people and chronologically arranged so that in the repetitions of events and recurrence of persons the life of the colony for some eight or nine years is covered, seen piecemeal through individuals, each telling their own story. They have sunk canoes, hunted the kangaroo. I am too tired to weep. My dream said they would never leave. Hatchets to fight the Cameraigal. Back to my wife, Barangaroo. Women are separated from the men now. But William, he nurses me. What is at work here is imaginative empathy, and poetry might well be its best home in the modern literary climate. The result is not exactly narrative poetry, though it comes close to it. It deals with effects rather than causes, but proposes forcefully a belief in human resilience and perceptive fidelity. I think the delicate crafting of the poems just off the edge of Modernism serves these purposes well, since the directness of the message is indispensible for such a work, but the complacency of strict traditional forms would be disruptive. After First Fleet there are 25 miscellaneous poems, of which those detailing the Welsh landscape are particularly fetching. In this section most of the poems centre the self, and I’m struck by the fact that this seems to encourage a poetry of concealment, the exact nature of events screened from us (to a greater or lesser extent) by those common poetical habits of obliquity and figuration or other forms of verbal masking, whereas First Fleet, from which the ‘I’ is absent, is direct and clear without loss of poetical texture. As a reviewer I feel obliged to utter criticism, which is that the page numbers are set deep in the lower inner corners of the pages, and easily disappear into the gutter when you open the book. Readers of this journal will, no doubt, be familiar with Roy Fisher’s work – he has been around a long time and is greatly admired. 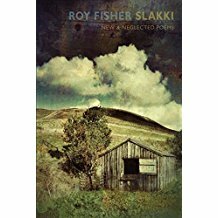 Fisher is now in his 80s, and Slakki has been edited and prepared by his friend Peter Robinson. It comprises three sections: new poems, and uncollected (‘neglected’) poems from the 1960s and 1950s. There is also an essay by Fisher on the nature of neglect. Slakki is an Old Norse word for a shallow depression among hills. Roy Fisher defines it as ‘not much of a valley. A Slack’. The blurb on the back of the book calls this ‘typical self effacement’ but I’m not sure why – he’s just describing what a slakki is. I prefer the new ones. ‘Signs and Signals’, the first poem in the collection, is one of my favourites. It describes an incident in the First World War: ‘When the trench wall came away without warning / and exposed the singularly tall / German officer, set upright in the earth / as if in a raised niche …’ The German officer is dead, but ‘…For Lance-Corporal Fisher W., Royal / Fusiliers, it would be the most splendid figure of a man / he’d ever see.’ Fisher’s line breaks sometimes puzzle me, as do many poets’, but this poem has intensity. It contains a stark image that would remain with the soldier for life: an image of death looking perfectly turned-out, dignified, masterful, among the carnage. There’s no need for deep analysis from me about this poem. It’s a delight. The lack of punctuation serves the flowing feel of the poem, and there isn’t a wasted word. From the second section, poems from the 1960s, I particularly like ‘The Discovery of Metre’, which describes an ‘ …old man / walking downstairs / three steps // And a pause / still talking / pleased to be // Talking and / still making it / downstairs.’ Some might be touched by the inclusion of a poem, written in the poet’s younger years, that describes him as he is now, but I think that is a sentimental bridge too far. This poem is a beautiful piece of economy and music, and stands up for itself in these less emotional terms. The 1950s section has a poem called ‘Neighbours, We’ll Not Part Tonight!’ (The Demon Knitters of Dent)’, which stands out for me, for its joyous narrative, cast of incredible characters, and choruses. This collection is a great starting place for readers new to Fisher, because it presents poems from across sixty years, but Fisher devotees will also enjoy his trademark simplicity, honesty, heart and craft. Keith Hutson has written for Coronation Street and many well-known comedians, as well as running a large landscaping business. His poetry is widely-published in journals including The Rialto, The North, Magma, Stand, Agenda, The Interpreter’s House, Poetry Salzburg Review and he has won a Poetry Business Yorkshire Prize judged by Billy Collins. He delivers poetry and performance workshops in schools for The Prince’s Trust, and hosts a monthly poetry/music event, WordPlay, in Halifax. He’s a former amateur boxer. 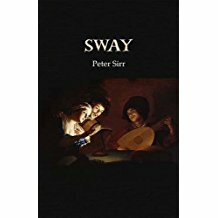 Peter Sirr’s fluent, lyrical poems have a natural affinity with the medieval troubadours he translates in his new collection, Sway. These Occitan poets developed courtly love as a subject and their songs were formative for vernacular poetry across Europe. They are still so much part of our vocabulary, in pop songs as well as love poems, that the poems can sometimes slip by too smoothly and easily. I wouldn’t normally start a review or an appreciation of a poet’s work by sending you off to read someone else’s review, but, like Bleak House’s Esther Summerson, ‘I have a great deal of difficulty in beginning to write my portion of these pages, for I know I am not clever.’ Let me qualify that. For ‘have’ read ‘had’, and for ‘clever’ read ‘ill-qualified’. A number of obstacles, real or imagined, arose when I came to read Sway for the first time. For one, I wasn’t sure whether I was dealing with translation, or adaptation, with homage or pastiche. I persuaded myself that maybe the reader needed to be steeped in medieval French, and the conventions and traditions of courtly love; that s/he was familiar with the history of the troubadour tradition. In other words, I was convinced that these were poems for folk who knew more, and better, than me. Who are these poems for? Scholars of Old Occitan, or of the courtly tradition for instance? Or the common reader? Why this should be an issue is worth thinking about. Why should it be a problem, if reading, say, The Iliad or The Metamorphoses, or Beowulf in translation is not? Am I making some kind of unconscious judgement about cultural influence and status? The translation-maker’s duty is to the original, yes; but his primary duty is to the new poem which, through the process of translation, ‘becomes’ the translator’s poem and not just a transliteration of the original poet’s work. 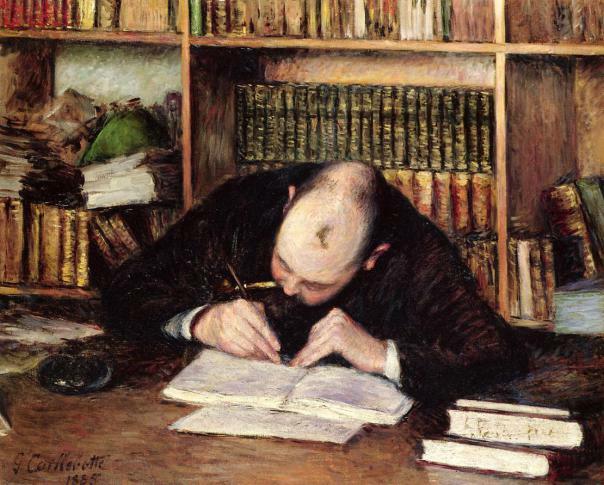 In this view, the translator is active and not passive; an originator and not a transporter; a transformer and creator and not just some drudge who, dictionary in hand, roots for and writes down linguistic equivalents. I could go along with that, as with Clive James’: ‘A real poem? A real poem is ‘Well separated’. You hear ‘the force of real poetry at first glance’ (I love that!). Because ‘Even if you don’t set out to memorize a real poem, it somehow seems to be memorizing itself for you’. The message is simple enough. Read the poems as poems. Listen to them. Ask if they have that kind of force. So far so good. Because in listening to the song, we don’t linger to consider the individual images and phrases; the music moves on and fills the spaces. In the end, I decided that it would be fruitless to let myself get bogged down in the argument. The thing to do would be to put it out of my mind and simply read the poems as poems on the page. They would have to work for themselves. The poetry of courtly love ‘sometimes resoves itself into a slightly cartoonish image of lovelorn poets and idealized love, a sort of medieval Hallmark of romantic gestures. I remind myself that it’s alive and well in contemporary popular music, and always has been. It’s not much of a reach to read: no one compares. The paragons / the most beautiful ever, take them /they are not worth a glove in ‘When the sweet air turns bitter’ and think of Sinead O’Connor. That can only be because, in both cases, the words speak to something unchanging in the human condition. knock on my door and tell me..
Sirr is an artful handler of the understated form, the slant rhyme. The ‘love’ and the ‘loaf’, as well as the ‘knife’ and ‘strife’, the run of ‘fall/all/steel’; the rhythm set up by those repeated ‘d’ sounds..’world/skewed/lord/bed’. I think this is the key to reading him: stop looking ; read aloud, and listen. And there’s one line that tells you exactly where Sirr is coming from, in more ways than one: ‘oh I was the quare one‘. I think this was the moment that I realised that one way to listen to these poems was to imagine an Irish voice; that dialect and accent were probably the key to imagining these 900 year old voices, written before the idea of French (and Standard English and R.P.) existed. Which brings us nicely to the last section of the collection: the ‘Coda’, the sequence of poems called ‘Road Songs’. The 21st and the 12th centuries elide in one lovesong. I tried to think of a song that would convey the flavour of this last lovely sequence. The one that came to mind was Patrick Kavanagh’s Raglan Road. I tried to avoid this review. Translations of 12thC Old Occitan love songs. Really? But the longer I spent with them, the more I listened, the more sense it made. Just one suggestion. Try reading the ‘Coda‘ aloud a few times before you go to the early poets. And then you can read the Afterword. I recommend it. It’s a labour of love that is anything but laborious. John Foggin lives in West Yorkshire, writes a poetry blog: the great fogginzo’s cobweb . His poems have won first prizes in competitions judged by three different Poets Laureate. He has authored four pamphlets and chapbooks. A prize winner in the 2016 Poetry Business Book and Pamplet Competition, his first full collection, Much Possessed was published by smith|doorstop [November 2016]. A joint collection, Gap Year [Sentinel] with Andy Blackford is due out in April 2017 . From the title, you would be forgiven for thinking A Song of Elsewhere is a collection of poetry that concerns itself only with looking outward to other places. A quick glance down the contents list would support this assumption – there are poems about Cambodia and Russia, not to mention a long sequence at the back of the collection called ‘A Midwest Postscript’. the undressed beauty of its fields. The poetic eye here seems always to be stepping back to take in the wider view, and observation takes place usually from the outside looking in. However, throughout these poems, the song of elsewhere isn’t just a song of place, or a song of travel. The elsewhere also refers to memory, the elsewhere that we can’t physically visit. The poems in the collection circle around this theme again and again. Many are concerned with the passing of time and how we document it. to the honeymoon shore of pebbles and sand. This tone of elegy or regret and of life being slightly out of control is one that Smythe circles back to in later poems. the red flag and the porcelain horse. A calendar out of date since John Lennon was shot. The accumulation of a series of seemingly unimportant objects add up to a sum much larger than their parts, creating an untold story of a life that exists in the gaps between these objects. We are left wondering what were the things that were not kept. That first line reads like an aphorism or a proverb. and in a draught-riddled caravan. 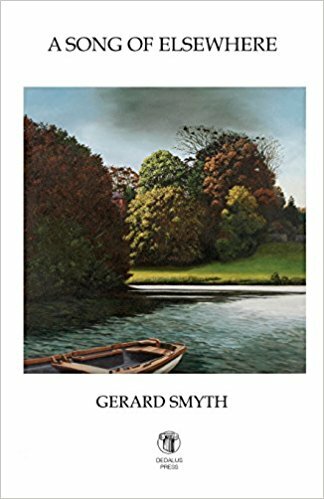 This instruction by the figure of the Grandmother to look for poetry both close to things, but also in tangible ‘real’ things is a aesthetic that runs strongly throughout Smyth’s work. The strength of his poetry lies in his commitment to looking, to searching out ‘the elsewhere’, where ever it might be found. Kim Moore’s first collection The Art of Falling was published by Seren in 2015. Her poem ‘In That Year’ was shortlisted for the 2015 Forward Prize for Best Published Poem. Her pamphlet If We Could Speak Like Wolves was a winner in the 2012 Poetry Business Pamphlet Competition. She won an Eric Gregory Award in 2010 and a Northern Writers Award in 2014. Thanks so much for publishing Peter Riley’s review. It’s a great review but he has unfortunately referred to me as Michael Crawford rather than Crowley the review. Any chance of amending? Sorry about that. I thought it had been proofed before I loaded it up. Anthony has now corrected it, I think.